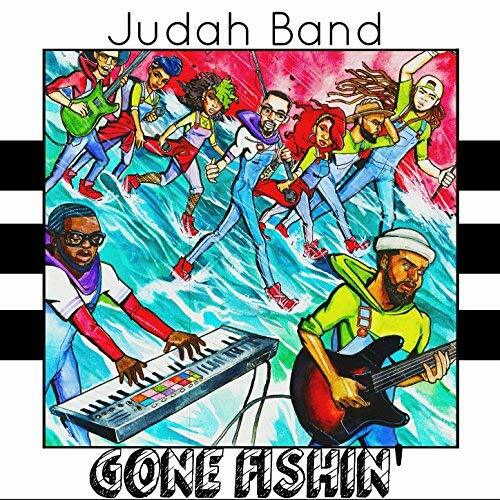 Judah Band, a collective of singers from Indianapolis, IN, has done it again with their new release, Gone Fishin’, which quickly rose to #2 on the Nielsen and #6 on the Billboard gospel album charts. This is the group’s second full-length, following their 2015 release The Return of Glory. The gospel community in Indianapolis is currently thriving, and Judah Band acts as one of the leaders of this movement, bringing the Indianapolis sound to the airways! Other notable local groups include Demetrius West & Authority and Maurice Yancey & One Accord. 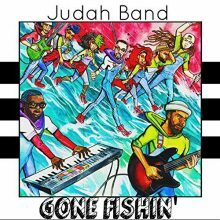 Judah Band leader G. Randy Weston described the theme of the album in an interview saying, “Were back at the commission…everybody was only commissioned to go out and be fishermen…so were out winning our fish.” The high energy opener “He’s Amazing” sets the tone for what is to come after. Randy opens the song by saying, “Allow me to introduce you to an amazing God.” This intro foreshadows the mission of Judah Band, which is to introduce God to a broad audience and bring the church to the world through their music by featuring multiple styles such as funk, rock, soul and reggae. This is the group’s way of expressing that God is Amazing and there is no shame in his name! The heavy guitar driven track, “Found Love,” is Judah Band’s way of talking about what they were like before they found the love of God and how this love changed their lives. The first verse opens, “I was searching for the answer to the question that I had in my mind….. I looked high I looked low… till I met you and I finally saw the light.” Weston goes deeper on the second verse by relating to his audience, saying it “felt like the world was crashing on me, said it beat down and left me there for dead.” This seems to be harkening to the scripture Romans 12:2 where the bible says, “…be not conformed to this world but be ye transformed by the renewing of your mind.” It is this renewing of the mind and acceptance of God’s love that has transformed Weston and Judah Band members forever. Judah claims they “searched the world high and low but when I met you I found love” and its this love that they have found in God, that has filled all the holes in their life’s and gave them purpose. “More Than I Ever Expected” is a slow gospel ballad that causes one to think about the “many miracles and blessings” that God is constantly bestowing on people, whether they deserve it or not. During the song and in interviews, Weston talks about how God has blown his mind, doing things that exceeded his needs and expectations which is “overwhelming.” At the end of the song, Weston pays homage to the late Edwin Hawkins, who passed away earlier this year, by singing his popular song of worship, “I Love You (Lord Today”). “Do It Again” addresses the many ways that God has healed and delivered people. The high energy single chronicles decades in American history where God has taken people from the streets and given their lives purpose, which leads us to 2018. Judah Band believes that if God was able to save, deliver, and set people free back then, why question if he can do it now? The hit single on the album, “For My Good,” has spread like wildfire throughout the country over the past few months. This high spirited praise song is about praising God in the midst of your problems and your pain. In an interview, Weston said, “I wrote the song in a dark space…I was battling and recovering from cancer and God sung it to me to encourage me…I want people to feel what I felt when God sung it me.” You can praise God because you believe that he will be true to his promise that “All things work together for the good of those who love him.” If that is true, then there is no reason to be worried or afraid. This entry was posted in Gospel Music and Spirituals and tagged Bobby E. Davis Jr., CD review, Gone Fishin', Gospel, Judah Band, Light Records by aaamc. Bookmark the permalink.